GCW Resources / Question / Question of the Day: What are some simple tips to maintain granite counter tops? 1-When placing glasses, cups, pitchers or other containers that contain liquids that may leave condensation on the outside, use coasters or napkins to protect stone counters from discoloration. 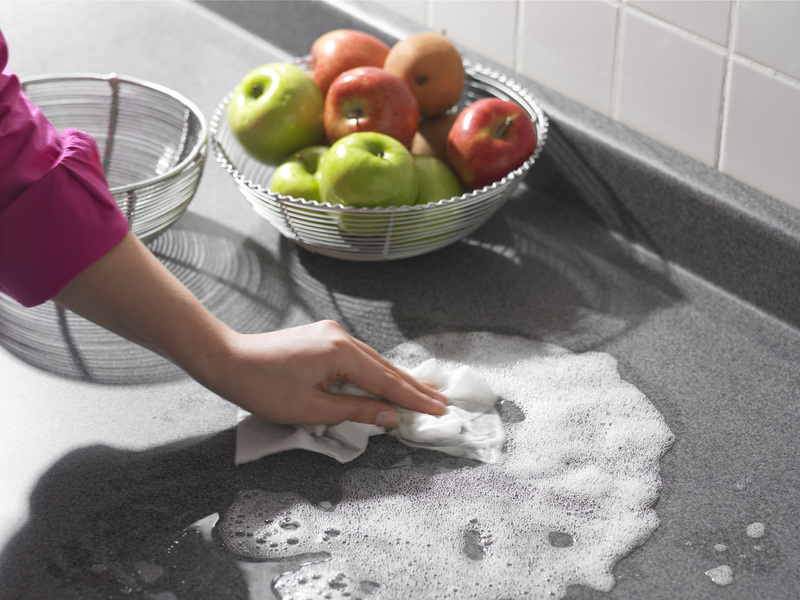 2-If you happen to spill something on your counter tops, you must clean the spill straightaway in order to prevent staining or discoloration. 3-For daily maintenance, It is recommended that you wipe your granite counter tops regularly with a mild and nonabrasive cleaner….preferably one that specializes in natural stone surfaces. 4-Keep several cutting boards in your kitchen so that you will not cut directly on the stone in order to prevent scratches on the sealer. 5-Keep a couple of trivets on hand to place hot pots and pans. This will prevent the heat from creating discoloration on the sealer.